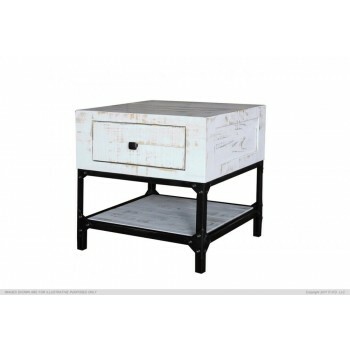 6.IFD565 Cocktail table features functional cast iron casters, two drawers and extra storage when half the top is opened. 7.Sofa table features two drawers, End table & Chair-side feature one drawer. 8.All four pieces include bottom shelf which adds even more storage space.